Over 120 face to face connections in 5 hours. The Kyle Classic is the perfect opportunity for a member business to promote their products and services direct to potential customers. Last year's course sold out with our sponsors creating an experience for the golfers at their sponsored location, resulting in better connections and increased business. Join us this year with our Las Vegas theme featuring great food, beverage, giveaways, prizes and more! 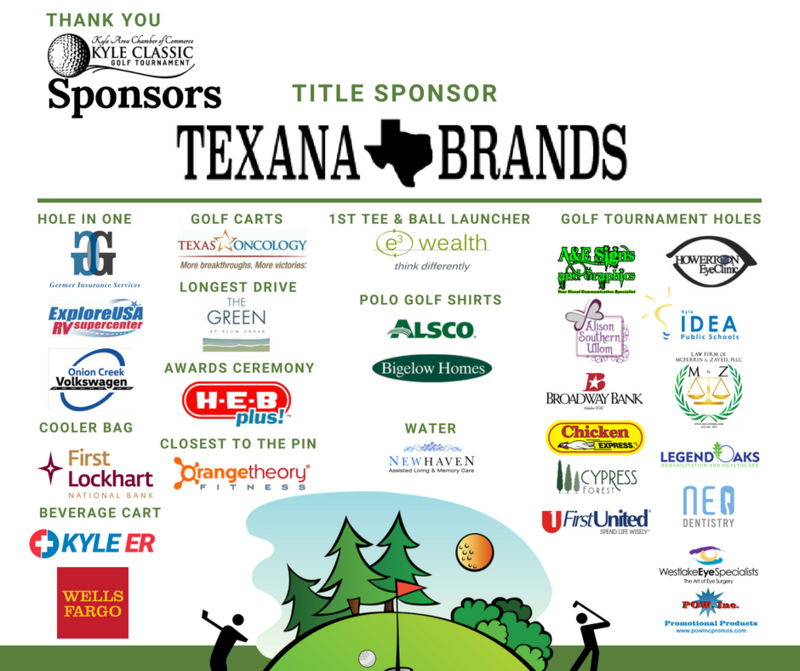 Participate by sponsoring holes, contests, carts and promotional products. Awards luncheon to follow for all sponsors and players after last golfers are finished. *This is rain or shine event EXCEPT if the weather is SEVERE. In the case of severe weather, we will reschedule. There will be no refunds due to inclement weather as this is a fundraiser for the Kyle Chamber of Commerce.